Shampoo: Sulfate and sodium chloride free cleanser improves the overall look and feel of your hair leaving it immediately smoother and healthier. Conditioner: Nutrient rich, ultra moisturizing paraben & sodium chloride free conditioner fortifies follicles and infuses each strand with intense hydration to tame split-ends and banish frizz for sleek, shiny hair that looks and feels healthier. 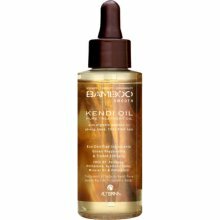 Instantly absorbing Kendi Oil with strengthening Organic bamboo can be used as a treatment or style-primer to banish frizz, impart intense shine & protect color while providing vital nutrients. Best for medium to thick hair types. Treatment: a high performance leave-in therapy specifically designed to deeply nourish hair, sealing & healing split-ends and frays to restore hair damaged by environmental factors and chemical processing to a healthy state. Style Primer: a UV & heat protecting pre-style essential with built-in humidity resistance that banishes frizz for sleek, glossy hair with staying power. 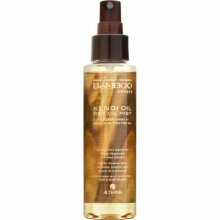 75% of consumers preferred Bamboo Smooth Kendi Oil to the leading Argan Oil product. 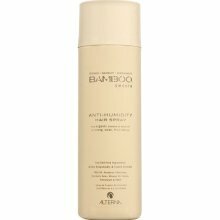 This lightweight, instantly absorbing mist can be used as a treatment or a style primer to eliminate frizz, shield hair from heat styling tools, enhance shine and protect color while boosting your hair’s health. Treatment: a weightliess, nutrient-rich leave-in spray that fortifies strands and mends split ends giving fine to medium hair types the nourishment it needs without being weighed down. Style Primer: an ultra-light, instantly absorbing pre-style essential that banishes frizz, provides UV & heat protection as well as humidity resistance for hair that is brilliantly shiny and silky smooth. 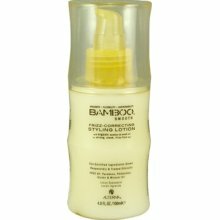 Infused with vital nutrients, this luxurious lotion creates sleek, shiny hair while fighting frizz & flyaways all day long. Prolongs the life of your blowout, leaving hair healthier and less prone to damage. Apply to damp, freshly cleansed hair, starting at mid-lengths & working down strands to tips. Blow dry as usual. Apply extra to ends to prevent flyaways and frizz. 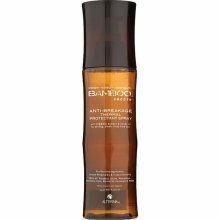 NEW Bamboo Smooth Anti-Breakage Thermal Protectant Spray is clinically proven to reduce breakage by 87%*, instantly repairing and strengthening hair & smoothing strands while providing maximum anti-breakage protection from heat styling tools. With an exceptionally high level of thermal protection of up to 428ºF / 220ºC, hair is repaired & replenished and thoroughly protected inside and out. 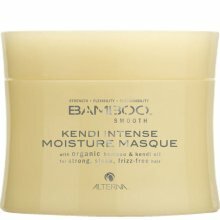 Features Certified Organic Bamboo Extract &Kendi Oil for hair that is stronger, sleeker, and noticeably healthier without frizz. 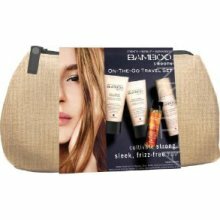 Alterna Bamboo Smooth Beauty to Go Travel Bag is a luxurious gift set that’s perfect if you’re whisking off somewhere nice.